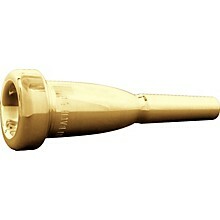 Earn up to 1,584 reward points. 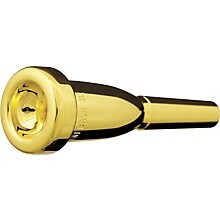 These particular Bach Mega Tone mouthpieces are gold-plated versions of the Bach Mega Tone Series. Gold plating provides a very comfortable and flexible feel, cannot tarnish or corrode and warms up faster than a silver plate. Bach mouthpieces are designed to meet every conceivable playing need and have for nearly three quarters of a century. 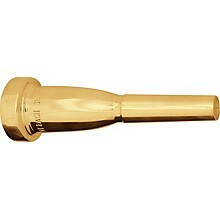 A Bach mouthpiece will make a poor instrument play well, a good instrument play better. 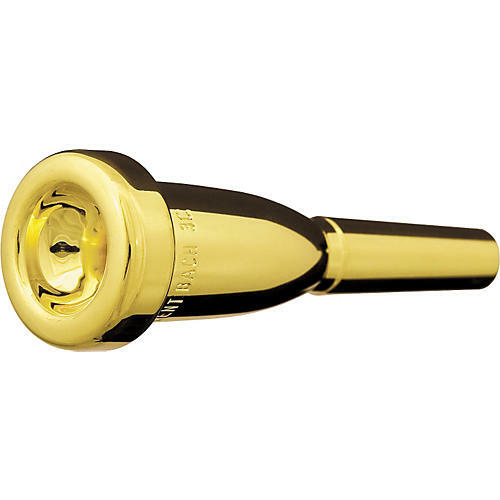 Volume and excellent intonation, ease of response in the high and low register, rich, uniform timbre throughout the range, and resistance calculated to increase the player's endurance-these characteristics explain why professional artists choose Bach.